As a child, I hated needlework in school and used to ask my grandma for help with all my projects. My handiwork was usually crooked with zigzag stitches and I didn’t see the point in learning how to thread a needle (which took almost the whole period and into lunch!) or sewing on a button. I was going to be very careful and never lose a button when I grew up so I didn’t see the need to know any of it. Fast forward to college and work, I now have several sweaters without buttons and the hem of all my work pants slowing coming off. Taking it to the dry cleaners each time proved to be expensive so I slowly taught myself how to do both. The crooked stitches were back but I know over time, they’ll get better. I remember my grandma used to crochet beautiful lace shrugs and knit sweaters for all us grandkids. I used to love sitting by her, watching tv and listening to the quick metallic click of her needles. Occasionally, she would count out aloud and groan that she forgot the lace pattern or missed a stitch. She would ask me to hold out my arm and she would measure the length, make adjustments and I would keep asking her almost every day when I could wear my new sweater. All these memories used to pop into my head on and off and I’ve often debated whether or not I should take up knitting and find a place to learn from. My partner in crime G was also interested in learning and it so happened that her dad on one of his evening walks discovered Patricia’s Yarns in Hoboken and heard that they were giving beginner classes. We jumped at the opportunity and checked the place out to sign up. Our beginner group was small and almost everyone had tried knitting in school but had given up or thought it too hard and wanted a second go at it. Our teacher Jennifer was fantastic and helped us step by step all the way explaining how to knit and purl, increase and decrease stitches, tricks and techniques on how to get better with every stitch. Most importantly she taught us how to redo stitches once we ripped them apart in frustration. The owner Patricia is lovely and I would often stop by the store during the week if I messed up my pattern or was at a loss on what to do next and she always very patiently helped me out and assisted in choosing the right yarn and needles for my projects. When I first started knitting and told a bunch of my friends how I was enjoying it, they laughed and asked me why I wanted to be a grandma sitting by the fireplace with my knitting needles. I think a lot of people view knitting as a very boring hobby or something only the elderly do. Irrespective of age, I think it keeps the mind alert because if you snooze or don’t pay attention, you lose a bunch of stitches and then correcting them is a pain! Plus, it’s a very creative hobby; the people who design and write up patterns to make it easy for us to follow is no easy task. Interestingly, I read an interview somewhere online that Ryan Gosling enjoys knitting! Well! Once I threw in that little tidbit, knitting started looking very glamorous to my friends! Whenever I try something new or different, I think back to what I learnt from the experience. Through the one and a half hour classes over 4 weeks, I learnt to be more patient and developed a camaraderie with my fellow knitters. I’m sure those of you who are avid knitters can attest to the fact that knitting is very therapeutic. I found the continuous and familiar click click of needles to be very relaxing along with the chatter in the group made it a very enjoyable experience. Oh and I got a spring beret out of it! 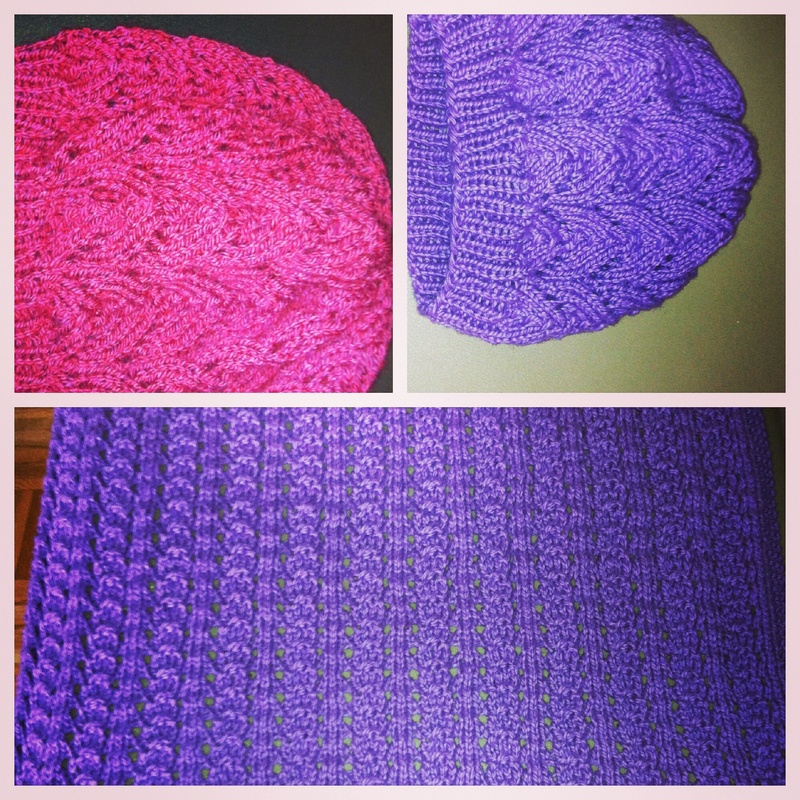 Once I got off the ground and completed my first hat ever, I was on a roll and started making different versions of the same hat, a simple scarf and an easy shell baby blanket for my family and friends. I enjoyed the process of learning how to read patterns and bringing them to life. 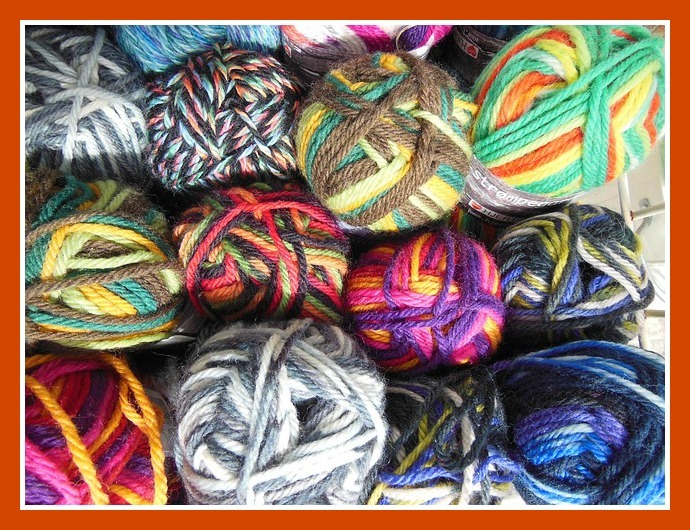 If you are always racking your brain on what to give your family and friends for a holiday or birthday, try a short course in knitting either online or in a yarn store. They are going to love a personal handmade gift and you will have the satisfaction of having created something useful and pretty! Very nice! What is the pattern you used for the hats?